Beautiful car and great find. You've probably seen my new owner thread, though I don't become owner #2 until Friday. Yes, there are choices and opinions galore for rubber. I've had good experience with Firestone and Bridgestone. Get all fluids changed so you know where you're starting. Where in Ontario are you? 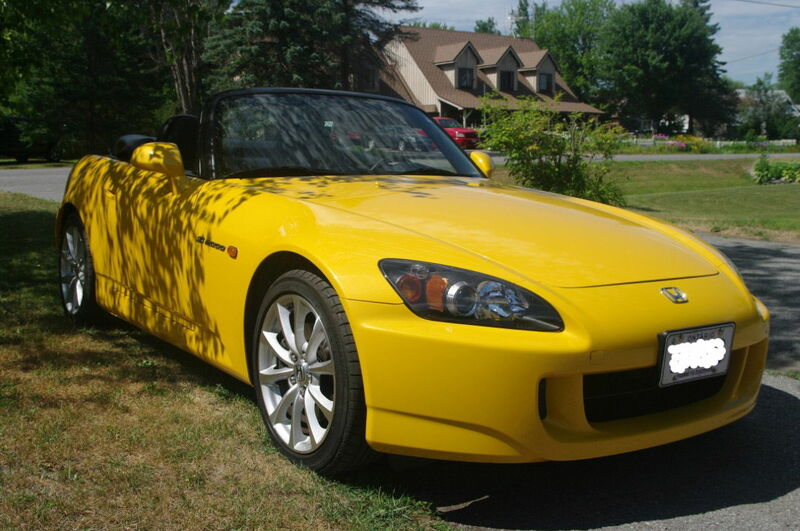 I have S2k owning friend in Kitchener/Waterloo, Toronto, around Ottawa and out in the boonies (which is most of Ontario :) with a few exceptions). I run Continental Extreme Sports on my AP-1 and Dunlop DIrezza II Sports on my CR. Mind you, I only drive the cars in the Summer so avoid all-season tires like the plague. At 24km the tires are at the end of their life. You will buy two sets of rears for every set of fronts so be prepared. Buy Ragtopp or 303 (or Griot's Garage) cleaner for the top (it's vinyl, not canvas), a tube of Shin-Etsu grease (from your local Honda parts dealer) for all the rubber seals around the top, check the oil religiously (even though AP-2's rarely use any, it's always good to be overly sure),make sure you up and downshift through all the gears (the ECU learns bad habits as well as good ones). and enjoy the car. Oh, the seats are plastic covered leather. You can use leather cleaner if you like. Thanks for the maintenance suggestions, and yes, found that secret compartment. Welcome! Lots of great info here and I hope that your arm heals quickly so you can get out on the road. I’m also in Ontario and live in Wasaga Beach. Have fun and congratulations! Chesterville would not have been far away ... Kemptville for me. I was in Kanata for a while as well and know Kemptville and that area well. Just a bit down the 416.